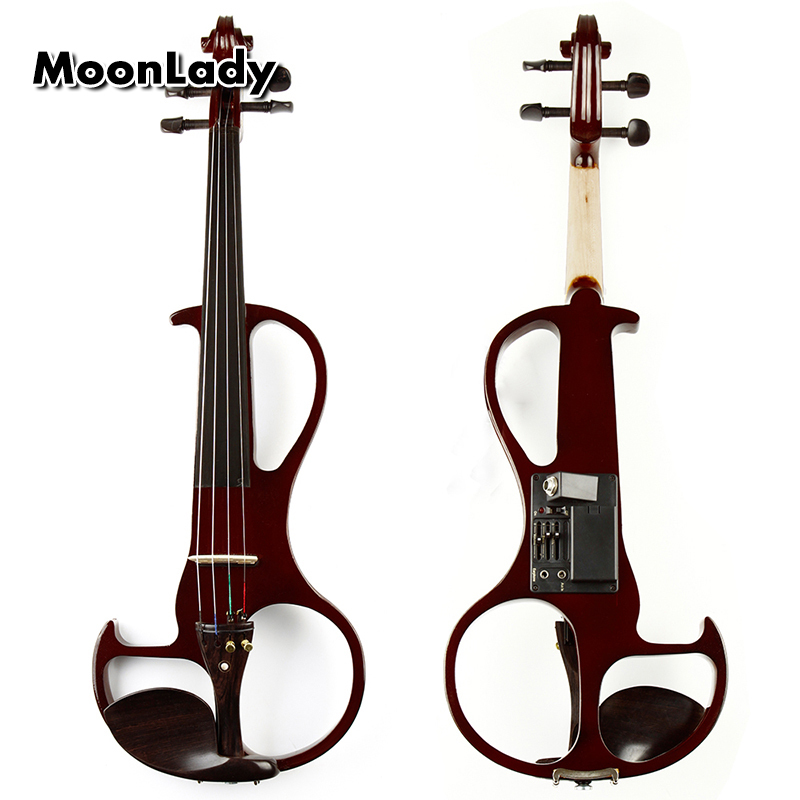 4/4 Electric Violin Introduce & Info: Hand Carved Solid Wood Construction. High Quality ELectric Pick up, Volume And Tone Adjust Button. Ebony Fingerboard and Pegs,High quality Chin Rest, Violin Parts Professional Electric Pick Up Can be played by the Amp , also can connect to the Headphone. 3 EQ adjustment of treble, alto and bass, wide range This Electric Violin Includes: 4/4 inch Jack cable , You can connect to the most popular AMPS, Pro-Deluxe Durable Plush Lined Nylon Covered Hard Shell Case Ebony Frogged Bow With Mother of Pearl Inlay & Unbleached Genuine Mongolian Horsehair Quality Rosin ​ We send the violin without battery!! !